Here we are and it is now mid September! We really don't know where 2016 has gone....but we are now focusing on the run up to Christmas. We have some fantastic fairs lined up....including a return to Knutsford Christmas markets for the fourth year running. Much as we love summer, we are quite fond of autumn too......bonfire night, toffee apples, autumn colours, halloween......the run up to Christmas. There is so much to be excited about! We have developed and expanded our autumn-inspired range of jewellery from last year. We launched our latest designs a couple of weeks ago at the Weald of Kent Craft Show to a great reception. 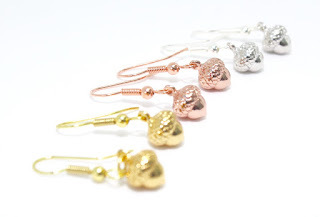 Much as I love all our designs, I think the rose gold range is my absolute favourite. I love our acorn and pine cone jewellery and I am so thrilled that it has been a success so far. We have been so busy lately that I have barely had time to work on our online presence. I have neglected our Etsy shop and our own website launch has been put back by a month. This week, working in the shop and preparing the website for launch is absolutely top of my list of priorities. 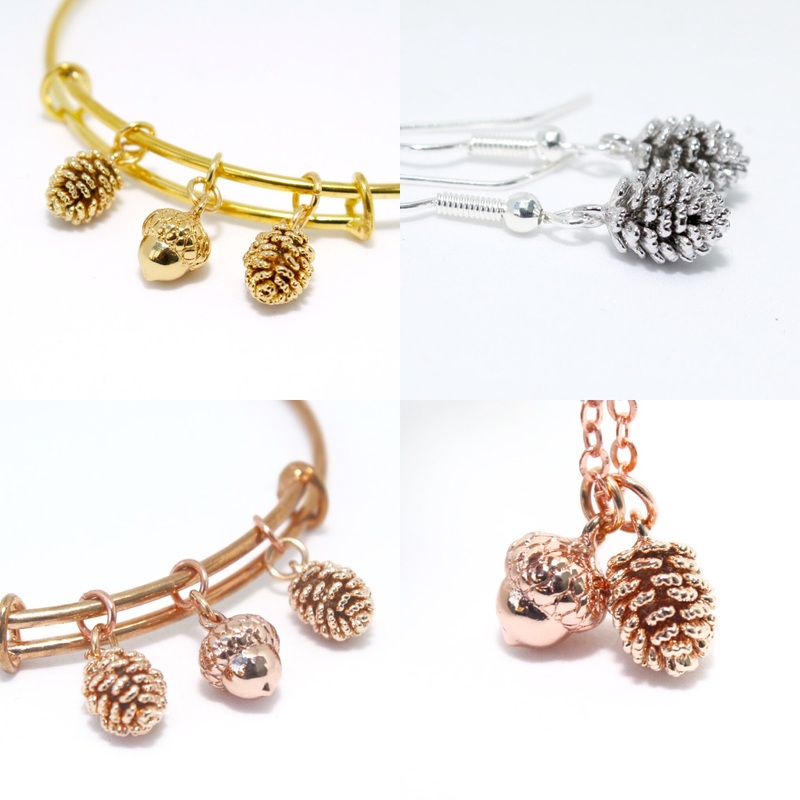 Acorn Earrings in gold plated, rose gold plated and silver plated. 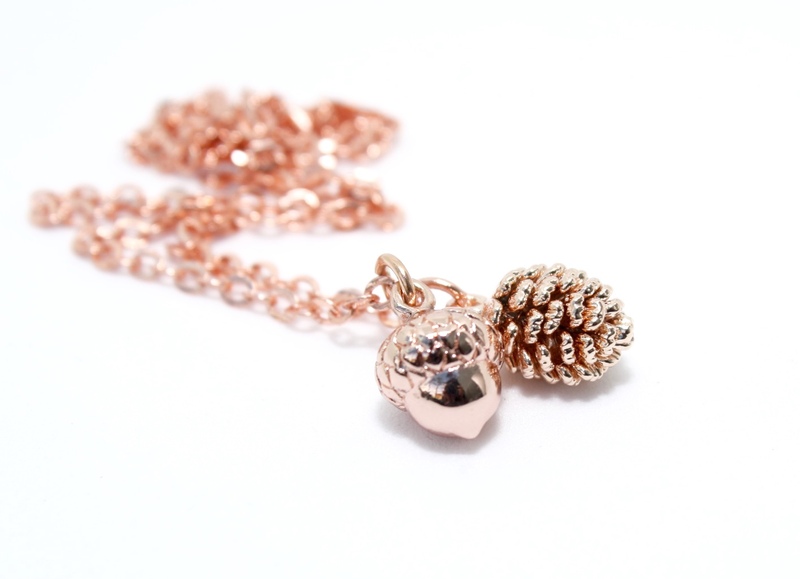 As well as rose gold, we also have our autumn-inspired range available in gold plated and silver plated versions. Aren't those little acorns and pine cones just soooooooooo cute? Anyway, I had best get on with photographing and listing our new pieces for Etsy and making our new website look perfect....and of course popping over to Handmade Monday.